What’s one way to make the chic spring styles showing up on runways all over the world even more appealing? Make them edible. Björn Frantzén, whose eponymous Stockholm restaurant earned two Michelin stars, took new designs from Ralph Lauren, Chloé, Diane Von Furstenberg and Valentino and painstakingly recreated them with macarons, endive, Serrano ham and all manner of other high-end food. He assembled the edible garments in conjunction with the luxe Swedish department store Nordiska Kompaniet, where he just opened several new restaurants. 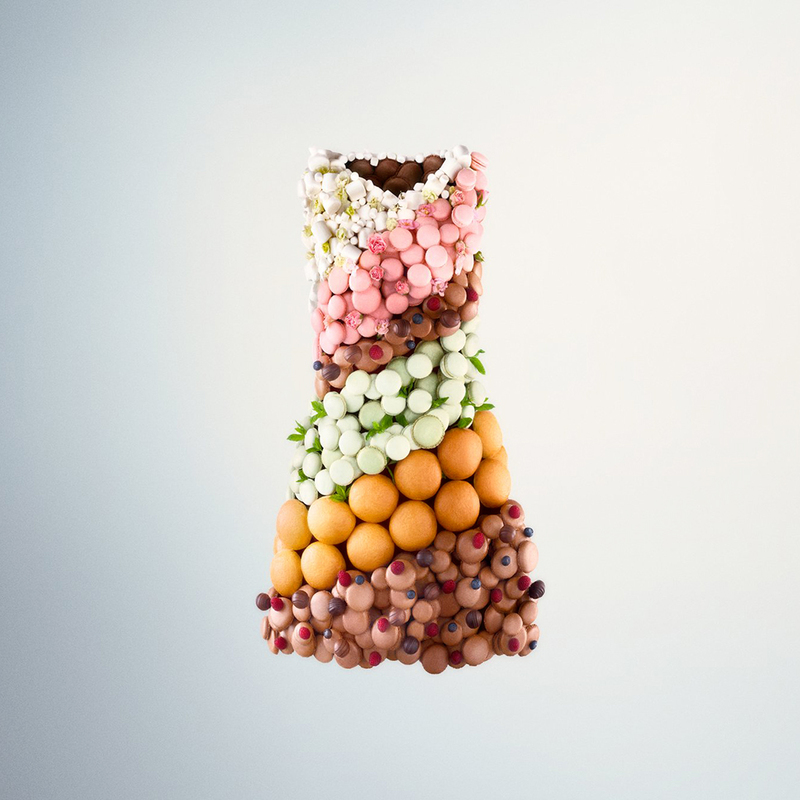 The clothes aren’t actually wearable, but you probably wouldn’t want to don them, anyway—you might eat yourself out of your dress by lunchtime. Check out all of Frantzen’s designs below and a video of the making of the designs.